Dental emergencies can occur at virtually any time and leave you feeling distressed, frustrated and in a lot of pain. Fortunately, we here at Ascent Dental Group can address all types of dental emergencies and offer convenient appointments to make it easier than ever to get the treatment that you both need and want. What might Be considered a Dental Emergency? 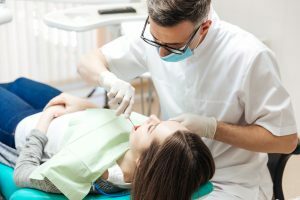 While many patients try to ignore the pain and go on with their day, a dental emergency often needs to be addressed quickly to prevent the problem from getting worse. For example, if you lose a filling, it can be easily replaced in our office in a very short period of time. If, however, you ignore the lost filling, the inner dentin of the tooth is then exposed, which is more susceptible to bacteria and sensitivity, which will cause further problems in a short period of time. Leaving a dental issue untreated can cause serious damage. It is best to see the dentist immediately so they can relieve you of the pain and any infection you may have. If you are experiencing a dental emergency, contact our office immediately and one of our staff members can help!